How could the classroom be this messy?! Obviously, the teacher can't leave her desk for a second! It’s cleanup time in the school! 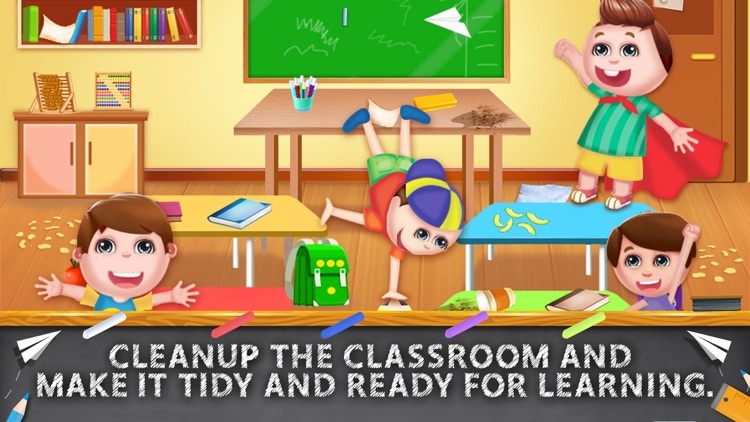 Cleanup the classroom and make it tidy and ready for learning. 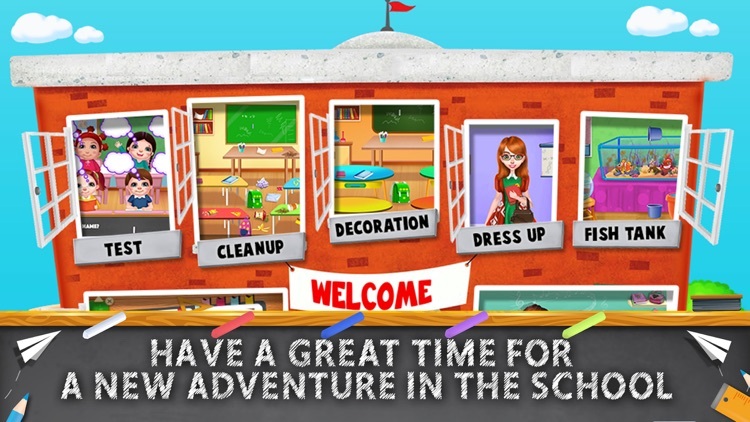 Find all the items to clean the classroom and make sure it's all neat and fine! Kids are Back-to-School now! So they need a cool classroom to study. This classroom really needs a makeover. Grab a paintbrush and get to work. Drag classroom decor into place to turn boring classroom into a charming learning space! Decorate your classroom to inspire students! Its Exam Time! 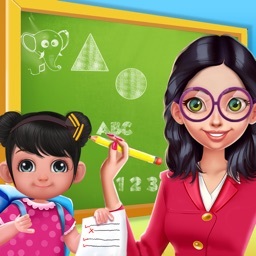 Solve tricky puzzles, answer various questions, play matching games & more! Pass out the exam with flying colors! 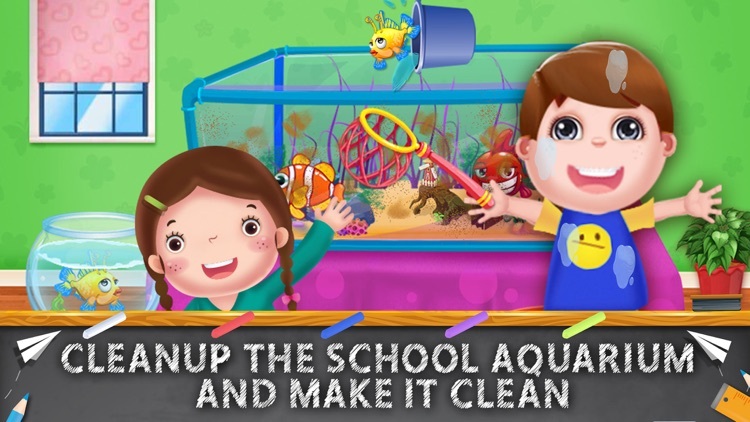 Cleanup the School Aquarium and make it clean. There are many friendly fishes that live in this amazing aquarium and they need you to take care of. Take care of the fishes and become a fish doctor! Play with real Fish tank cleaning tool kit: a fish net, an algae scraper, a window sponge, a plant fork and more. 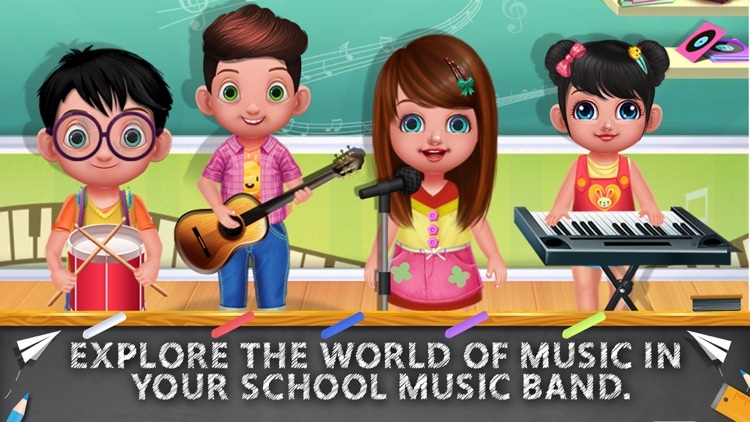 Take part in school rock music band and Explore the world of music in your cool School. You’ll love this Cute Music School. Hit the right notes, and maybe you'll be a singing superstar someday! It's that time of year again, everyone is going back to school! Wouldn't you like to be able to design your own note books? Choose your favorite color, add a cool print, and put on a few stickers to prettify it? You can also design a notebook and decorate it with plenty of stickers! 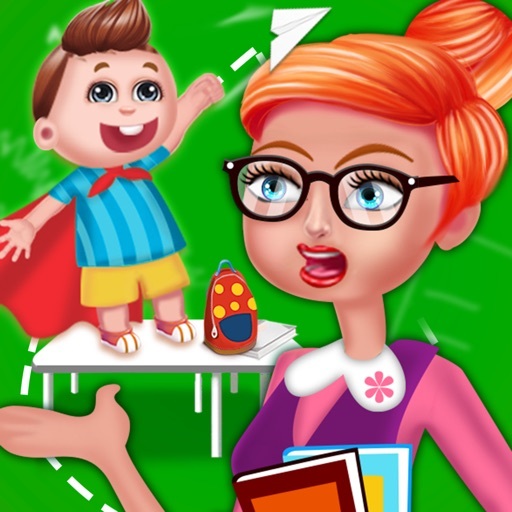 Dress up the class teacher and get her prepared for the first class of the school year. 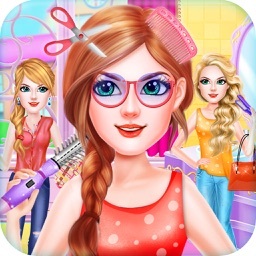 Choose a fancy new dress, skirt, accessories, shades, shoes, stockings for the class teacher. 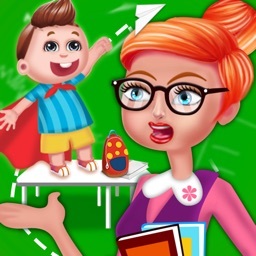 Dress up your favorite teacher with the outfit you find appropriate for her job. She has a lot of outfits and accessories you can choose from. Have fun! Education is part of life. It should be fun and challenging... not boring. Learn while you go to your first day of school! Find lots of mini games and activities that will challenge and develop your child's creativity, imagination, thinking skills, and social skills.